with over $100 Billion in assets under management. Toogood Financial Systems is Canada’s industry-leading investment software firm. Servicing the global investment management community since 1997, we are consistently trusted to deliver innovative and comprehensive solutions. Our expertise and tailored services has allowed us to work with leading financial services organizations. Our clients represent different sectors of the financial services industry including, but not limited to, asset managers, wealth managers, hedge funds, fund administrators, brokers and dealers, family offices, private client services, and independent financial advisors. 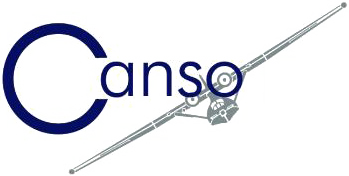 Canso Investment Counsel Ltd. is a Richmond Hill based portfolio management firm. EvolutionTM delivers mission-critical enterprise-wide processing for investment accounting, compliance, portfolio analysis, order and trade management, performance reporting and client servicing. Our series of solutions in specific markets consist of a complete package of comprehensive and integrated functionality targeted to a firm's unique needs. These flexible solutions are proven, reliable, and are designed to help firms of all sizes increase productivity and improve service and communication to their clients. Create documents that look and feel like you. Choose from one of our ready-made templates or get a fully customized layout. Generate documents – anytime, anywhere. Monitor the progress of your production runs as it happens, with real-time job status notifications. Perform editing on your statements and deliver them to your clients in Microsoft® Word or Acrobat® PDF format. Our Quarterback Service taps into your data from EvolutionTM, or use our Composer Service for multiple data sources, to enjoy automatic document production for all your reporting needs. 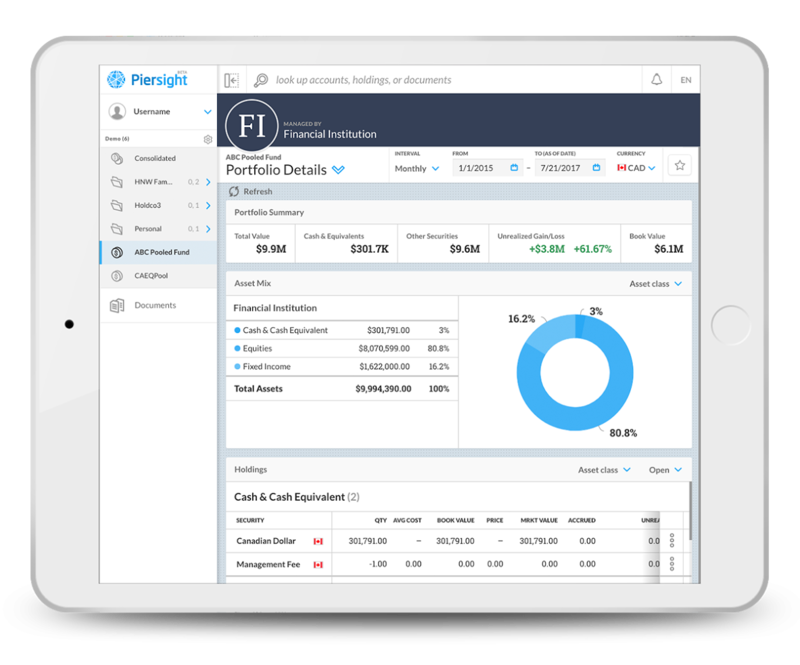 Provide your investors with online access to their financial information on a secure, cloud-based platform through the Client Portal Service – giving them a digital investment experience. Streamline electronic delivery with the document publishing feature, designed with the industry’s best practices in mind, ensuring clients receive proper notice and have easy access to statements through a secure portal. Coleford provides discretionary wealth management services to private clients, charitable foundations, and institutions. Founded in 1989, we employ a low-risk investment approach to enable our clients to achieve their financial objectives. Maintaining an in-house or external system requires constant attention by specialized and expensive resources. This is why we offer our solutions in the form of a partnership, which includes client support, consulting on implementation, on-site training, and back office administration services through Convexus Managed Services Inc. We want our clients to focus on what they do best: research, capital deployment, and client communication. Founded in 2011, Northland Wealth Management is a premier independent Canadian wealth advisory firm. Serving families with excess of $100 million in net worth, we are comprised of a team of professionals with an average of 25 years of experience dedicated to providing objective and comprehensive advice. As a Fund Manager or Sponsor, there is constant pressure to improve the operational efficiencies of your Fund Administration. The ever-changing compliance and regulatory requirements demands a flexible and efficient software partner to meet your needs. EvolutionTM supports a host of features to help you produce accurate and timely Net Asset Values. Whether it is daily, weekly, or monthly priced funds that are single or multi-series, our suite of solutions will have you covered. The administrative tasks facing a family office can be burdensome, which can distract them from their client’s affairs. With EvolutionTM, we transform and present excessive amounts of raw data in a meaningful and organized manner. Partner with us and enjoy unparalleled flexibility giving you the edge in value added analysis, developing risk based investment approaches, and pro-active planning for timely opportunities. The life cycle of private wealth management often demands that managers provide carefully tailored services to their clients. We offer solutions that can comprehensively support all facets of this life cycle. EvolutionTM is proven, highly scalable, and enables a firm to service a larger client base without incrementally increased fixed cost. We understand that the dynamics of the global financial market presents constant challenges to wealth managers. Administrative demands and nuances of international investing, proliferation of new security types, and increased sponsor and regulatory reporting are just some of the many issues that must be dealt with daily. 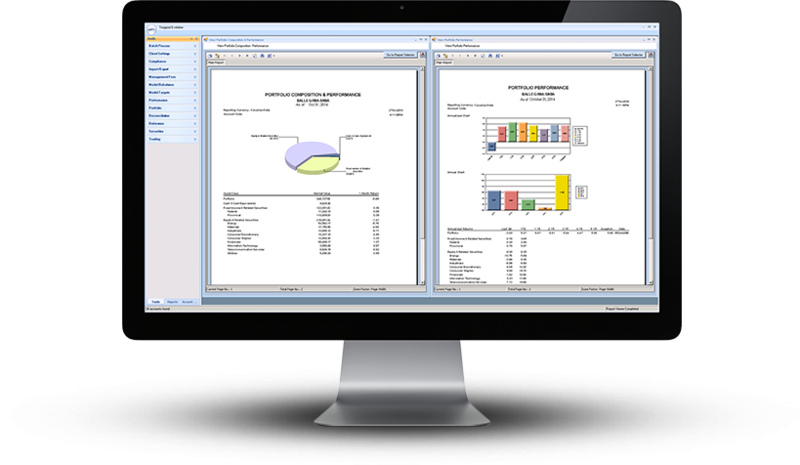 EvolutionTM supports a suite of software solutions that include applications designed for portfolio management, modeling, trade order management, compliance, debt and derivatives management, and back office accounting solutions. As a core part of our business, we work with more than 100 major pension funds, endowments, and foundations across Canada to invest for long term performance excellence. As our clients trust us to deliver solutions that impact their financial reporting process, it is imperative that our internal controls are up to the highest standards. To this end, we have obtained a successful CSAE 3416 audit report to give our clients peace of mind. The CSAE 3416 is issued by the Auditing and Assurance Standards Board as part of a new Canadian Standard on Assurance Engagements. It replaces the Auditor's Report on Controls at a Service Organization, CICA 5970, which was the previous standard in Canada for performing independent assurance engagements. Reliability, privacy, and security are crucial to the financial industry. This is why we choose to deliver our mission-critical investment applications only from the most secured and advanced data centres across private communication lines and through encrypted technology over the internet. Our servers are currently housed off-site with Rogers Data Centres at their Toronto_DC3 facility. This is Canada’s first Tier III data centre that guarantees 100% uptime and boasts state of the art security. Vestcap has for over 25 years managed Estates, Foundations, and high net worth individuals providing consistent conservative financial progress through both good and poor markets. RBC Investor & Treasury Services (RBC I&TS) is a specialist provider of asset servicing, custody, payments and treasury services for financial and other institutional investors worldwide. We serve clients from 18 locations across North America, Europe and the Asia-Pacific region. B2BITS®, EPAM Systems Capital Markets Competency Center, delivers FIX connectivity solutions that include FIX engines, FIX servers, FIX log analyzers, matching engines, market data feed adapters for investment trading. B2BITS® is a registered trademark of B2BITS, EPAM Systems, Inc.
Convexus Managed Services Inc., a provider of back office administration services for the investment fund industry, offers a full spectrum of fund administration solutions tailored to your needs. At 18 Asset Management, we are focused on security selection, portfolio management, risk management, and customer service. We are committed to aligning ourselves with our clients while effectively managing the money they entrust to us. At Toogood, we believe in a team-oriented and collaborative environment. We embrace intellectual diversity, creativity, and hard work while having fun. If you’re interested in fintech, join Toogood and help shape the future of the investment software industry in North America. © Toogood Financial Systems Inc.